Franchis Holiday Park is a quiet, family owned park with just 40 touring pitches and 12 privately owned caravans and chalets situated just 5 miles onto the Lizard Peninsula. It’s just a short drive into the village of Mullion with its pubs, shops, golf club, harbour and nearby sandy beaches of Poldhu and Polurrian Coves. They are perfectly placed for exploring the wonderful scenery of West Cornwall, messing about on boats on the Helford, walking the coast path or shopping and lunch in St Ives or Falmouth. You could own a holiday home here and simply get away from the hustle and bustle of everyday life as often as you like for 11 months of the year. There are some great holiday homes available for sale at Franchis Holiday Park, call Surf Bay Leisure on 01837 680100 or email sales@surfbay.co.uk to find out more. 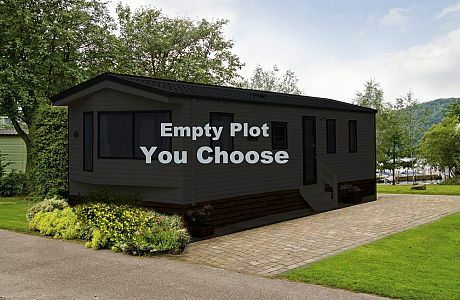 Vacant plot available at Franchis Holiday Park. ‘The Meadow’ A small, quality development of just 14 holiday lodges at Franchis Holiday Park About our holiday homes Prices of our holiday homes are inclusive of delivery, siting on a hard-standing base and connection to services, including bottled gas, water, drainage and electricity.